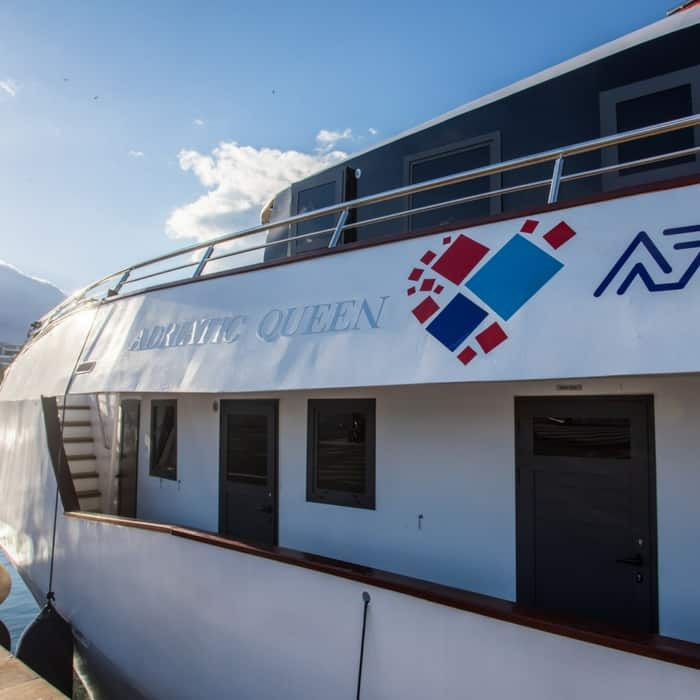 Officially welcomed to the fleet in 2017, the luxury MS Adriatic Queen offers an inclusive personalised service. The 30 guest capacity cruise ship features 15 modern en-suite cabins arranged on the main deck, and one VIP cabin on the upper deck. 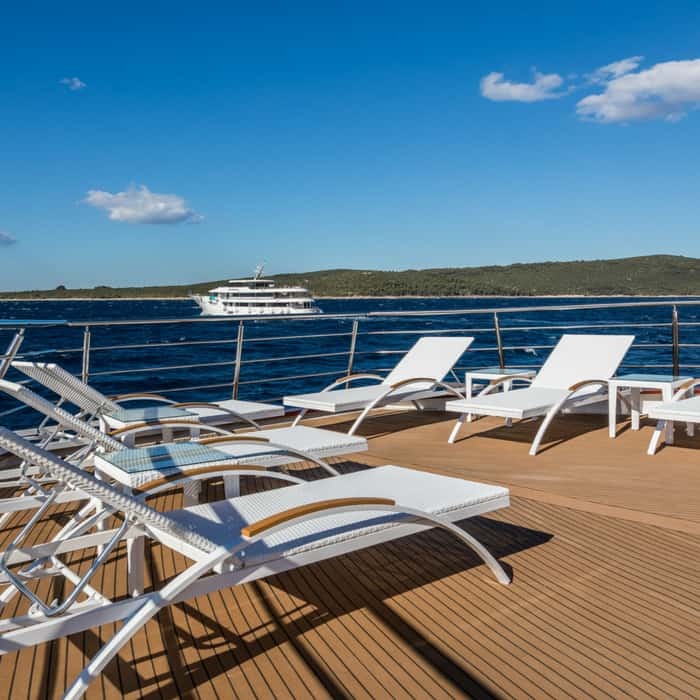 The state-of-the-art amenities will keep you entertained in luxurious comfort and style as you island-hop along Croatia’s sunny coastline. There is a swimming platform to the rear of the ship, and large sun deck with plenty of sun loungers. The air-conditioned restaurant and bar is a refined area when you can sociliase with your fellow passengers. 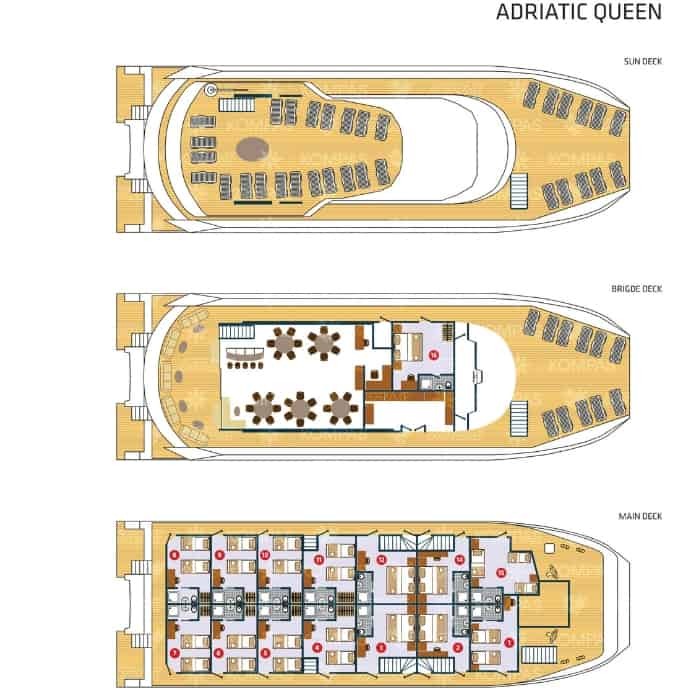 Adriatic Queen is a 35m (115 ft) long, 11m (36 ft) wide luxury ship, with a cruising speed of ten nautical miles per hour. The ship was completely renovated in 2017 featuring the latest state-of-the-art equipment and amenities. The ship has a maximum capacity of 30 passengers in 15 twin or double cabins, ensuring exceptional personal service. 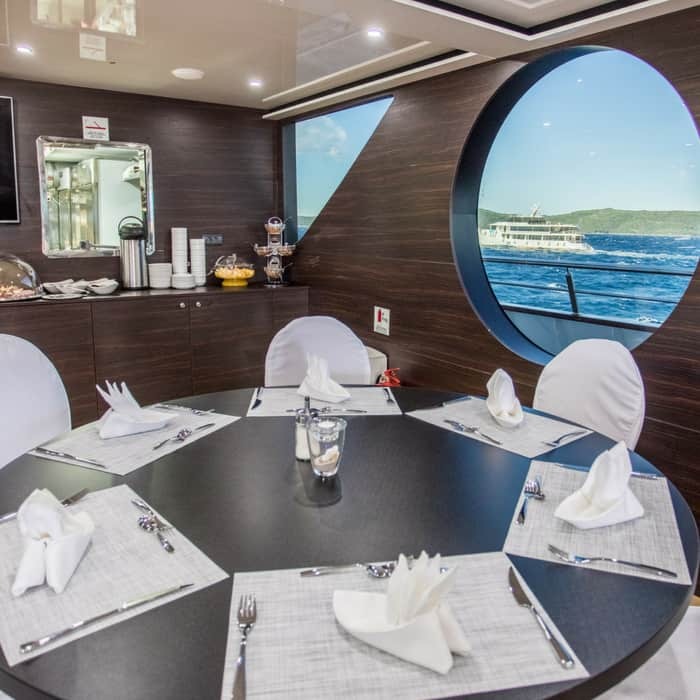 The ships upper deck features a spacious air-conditioned dining room with bar area which features an LCD TV, a corner buffet breakfast table and outdoor covered lounge area. The ship features 15 modern air-conditioned cabins with 14 main deck cabins and 1 bridge deck cabins measuring approximately 13 to 16 sq meters. 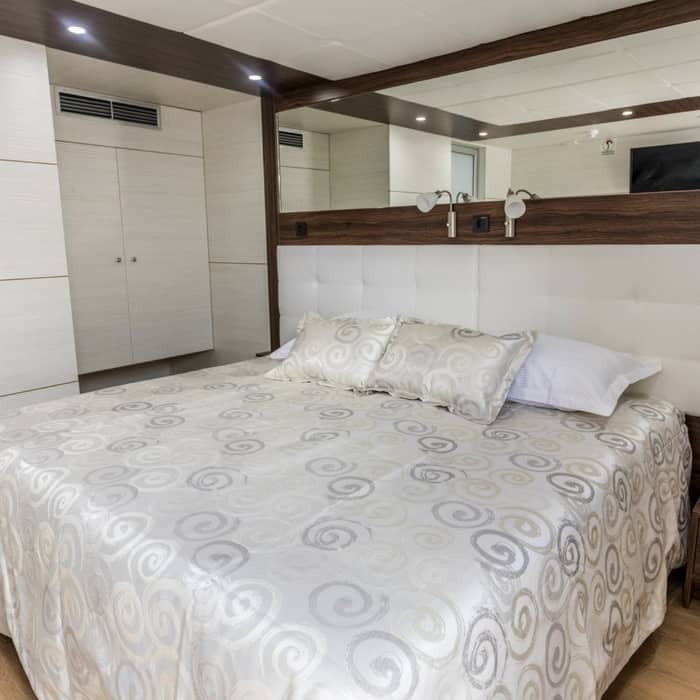 All cabins are fully equipped and include a safe deposit box, fire alarm, emergency lights and internal communication for announcements by the cruise director or captain. In addition, each cabin has life jackets, desk and tabouret, wardrobe, a small cupboard and a window (main) or port hole (lower deck). The bathrooms on board the ship are fitted with a toilet, shower, washbasin and hair dryer.